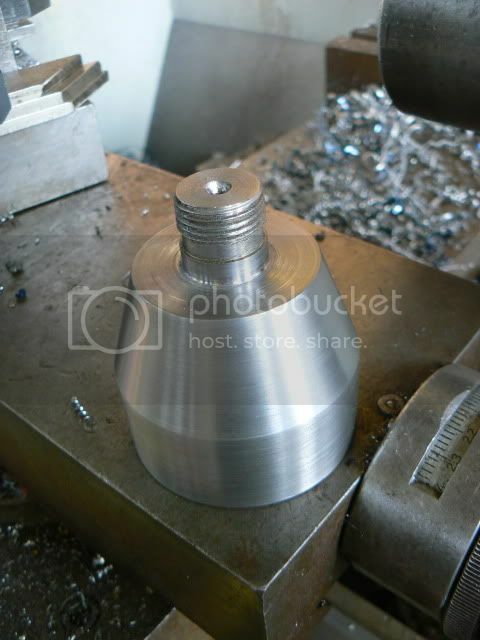 1 1/2" x 6 TPI external and is to fit a direct threaded Graduate chuck onto a Jet Lathe. Just a reminder that I am happy to talk over any engineering problems you have or hard to source parts you may require. Thanks Mike. Although I don't need anything at the moment, it's good to know that there's a way of getting odd bits made by someone who understands what woodturning is all about. 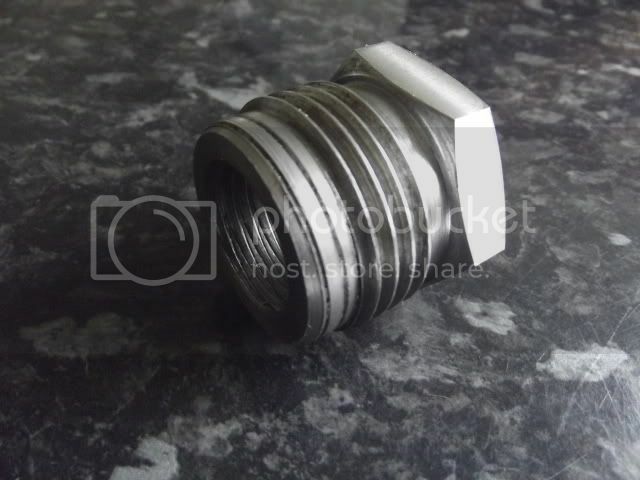 I have sent you a pm re adaptor, not had a response, have you received it. Yes I can do that, are you happy with just RH thread? 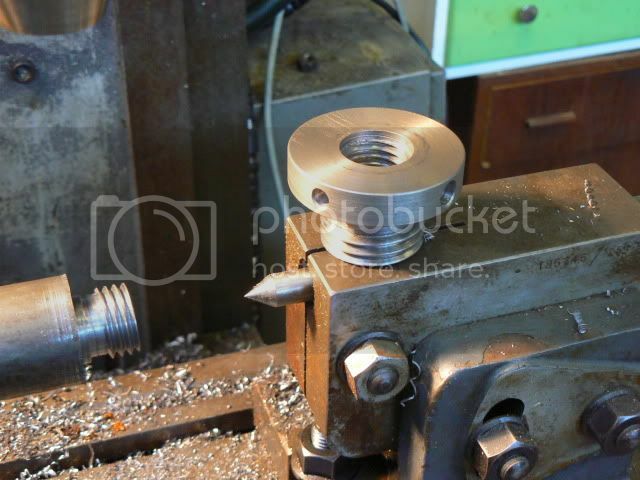 Putting in a LH thgread and using outboard risks the chuck unscrewing itself from the adaptor. Exert, Graduate 1 1/2" x 6 TPI to 3/4" x 16 TPI. Thanks Mike, I have sent a pm. headstock No2 M.T. 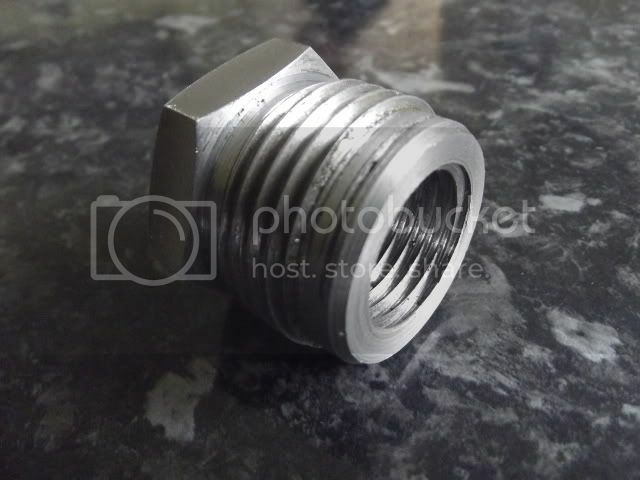 to plain spigot. 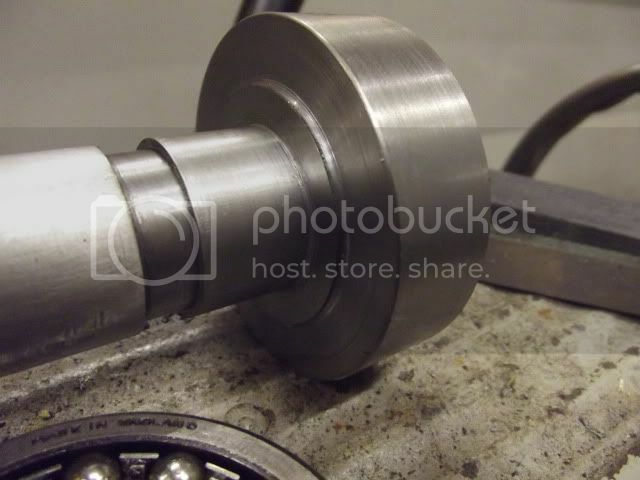 For rapid centering of bowls using pre-drilled hole as per Glen Lucas's method. 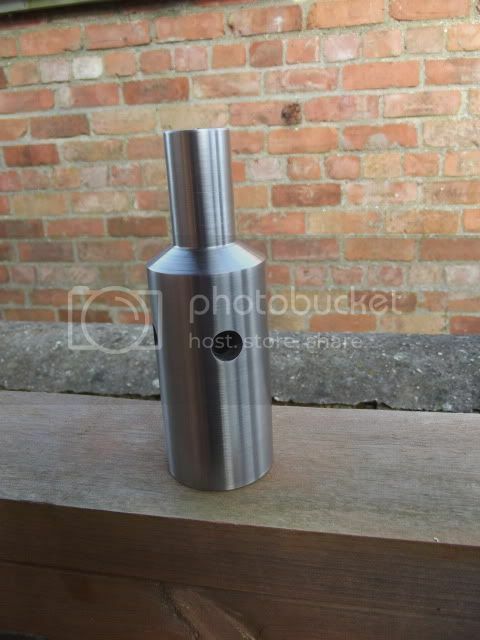 Interchangeable spigots possible, this one is fitted with 24mm dia x 50 long. Helping friend recondition a Jubilee. Pushing of the bearing at the outboard end wrecked the bearing carrier. This is the new one nearly finished, just needs three holes drilling. Left hand thread was damaged, so I have given it a quick chase. It looks a lot better now. Motor pulley opened up from 5/8" to 19mm and new 6mm keyway. Cracked wall Tig Welded on small pulley. Chuck adaptor started. Cut internally with dual left hand and right hand 1" x 10 TPI BSF threads. polishing mop spindle, direct threaded M33 x 3.5mm. to suit Hegner HDB. Threaded M8 to suit Chestnut style mop. Incidentally talking to a guy who has represented and demonstrating Hegner lathes for the last 17 years, I learn Technology Supplies have decided the HDB is now out of production ( or will be very soon) . So if you have a hankering for one speak to them now. 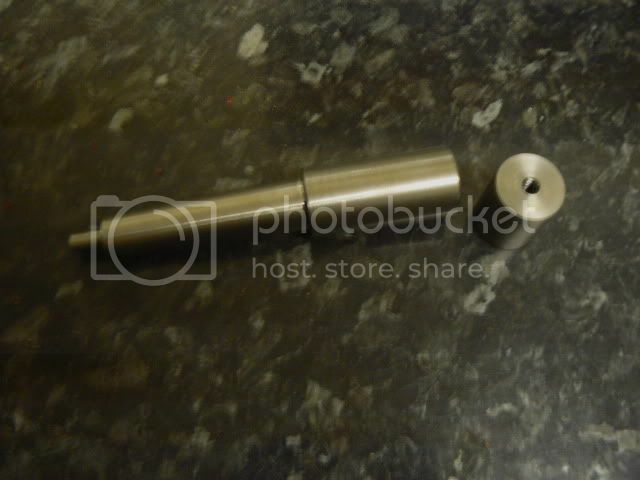 Re this item, It was for a customer who wanted to turn Bowls by Glen Lucas's method of drilling a hole in a blank (pillar drill) and slipping the blank onto something like this and forcing it back with a revolving tail-stock centre onto three drive pins set in a faceplate. 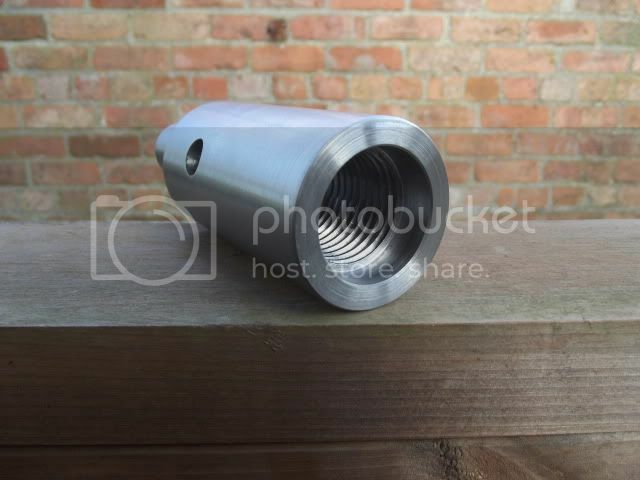 I personally cannot see why providing you end up with a parallel pin to suit the drilling and three pins to drive it why the spigot has to be on a Morse taper. Doing it like this ties up a faceplate that has been modified by screwing pins into it, and the Morse taper takes time to set up and make, and is therefore fairly expensive in terms of man hours. 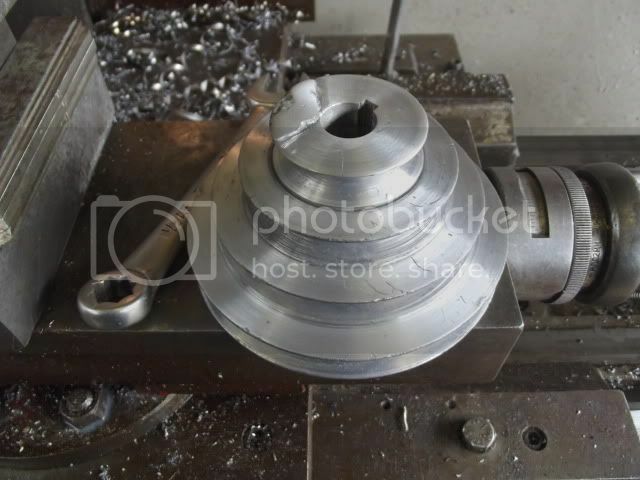 Thoughts welcomed on the idea of turning a solid disc into which the pins are tapped/ pressed, that has a parallel spigot on the pin side to suit drill size of your choice, and the back of the plate has an accurately machined Dovetail Spigot and or recess to suit expanding or contracting jaws of your choice. Not having to make a Morse taper saves time and money. 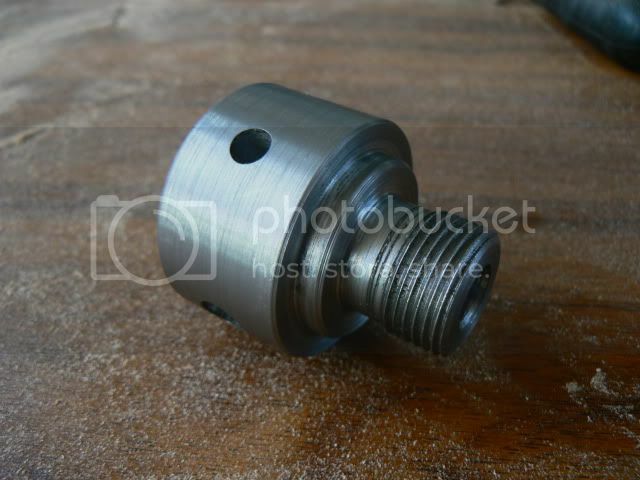 Glen Lucas has, I believe, a pin a couple of mm smaller than his drilled hole. the hole only very roughly guiding the blank, which as it settles on the three pins might want to tip if one finds softer material than the other two. 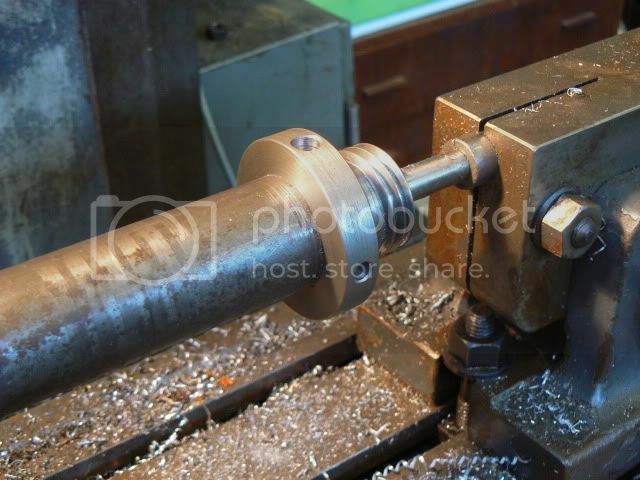 Accuracy is not paramount in the way Glen uses his system, so why go for a Morse taper parallel pin. My guess is Glenn uses his that way as he takes very heavy aggressive cuts to shape the outside of the bowl. The centre pin does just that and the three points drive the wood. 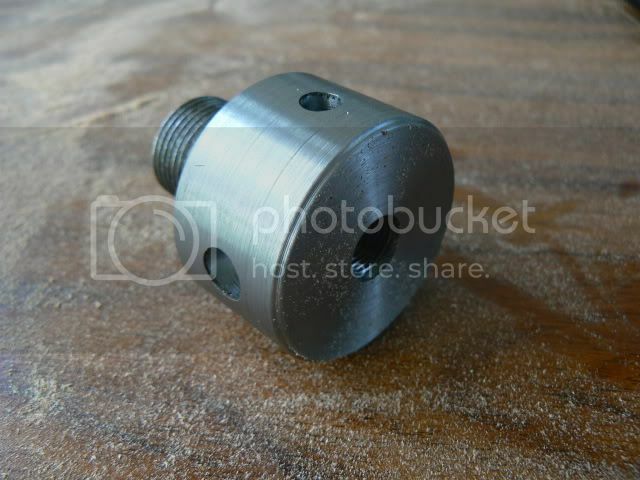 Its kinda similar to the woodworm screw only thats the only thing holding and driving the wood. I think Glenn has a faceplate modified to have both the driving pins and the parallel pin permanently fixed. 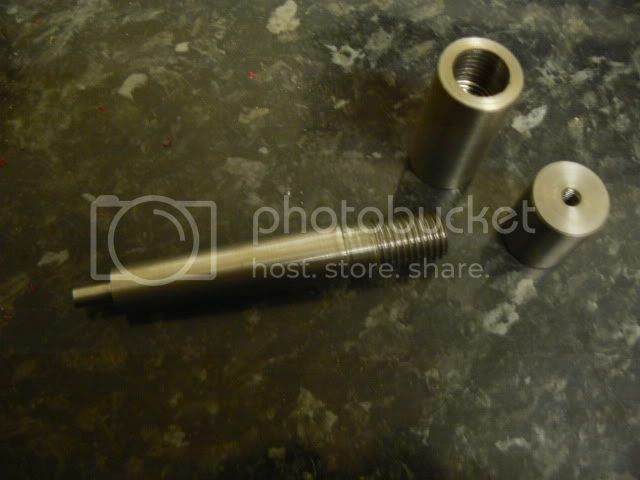 Axminster have a faceplate with 3 driving pins and a woodworm screw in the centre that fit into a chuck. 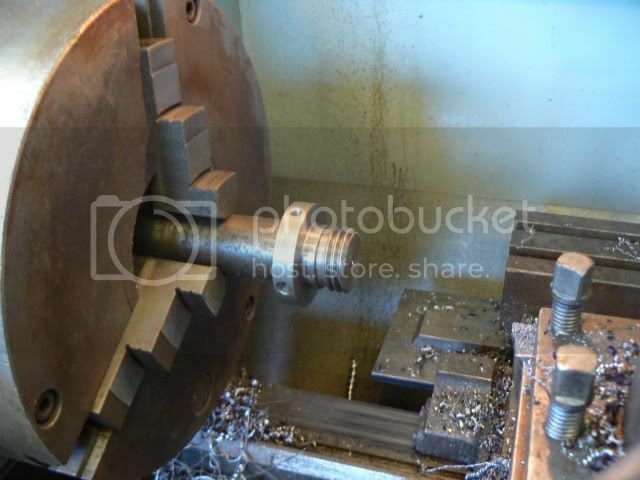 I don't think they could be used together, but the only fault I can see with that is if you take a very heavy cut the faceplate could just spin in the chuck. 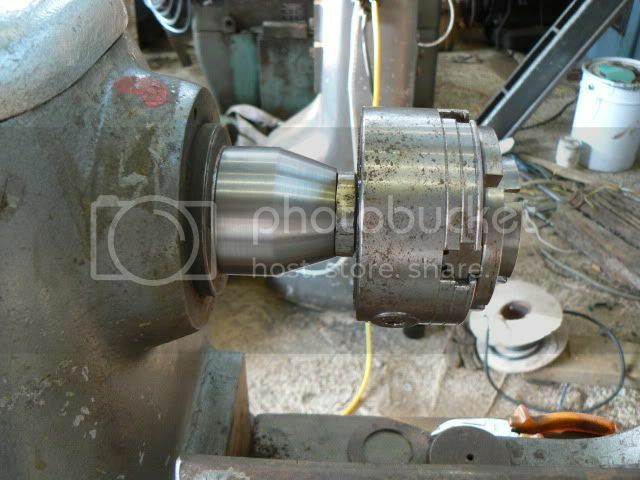 What lathe do you use? I am just thinking about ideas. The forces caused when cutting that would cause it to spin, have to be resisted by the strength of your arm holding a chisel. 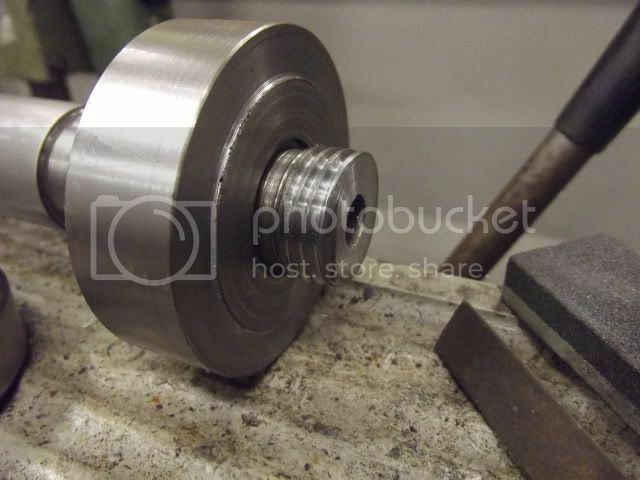 I doubt You can't hold the chisel tight enough to spin the spigot in the chuck jaws, Has anyone ever managed to spin a faceplate ring in the jaws, whilst cutting with a gouge? 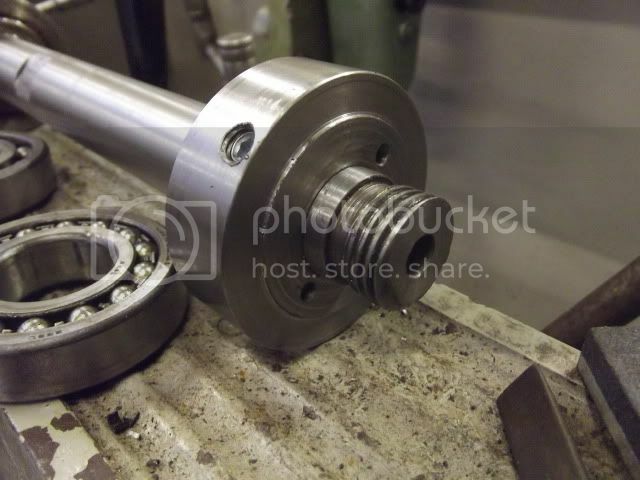 Does the spindle motor have enough torque to slip the chuck jaws opened out into a steel recess, or tightened onto a steel spigot. I very much doubt it. 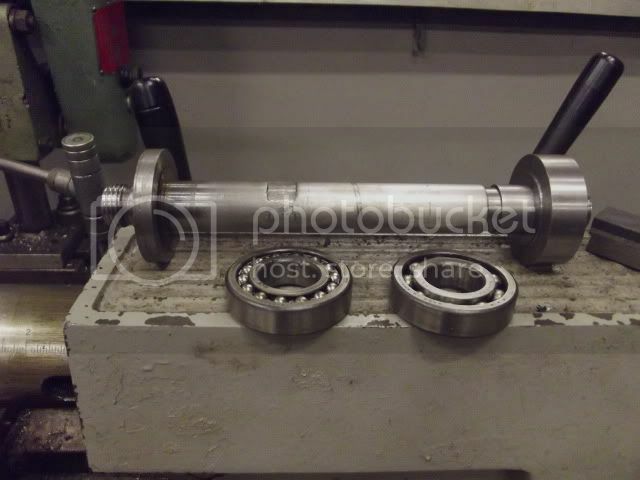 Have you ever spun a steb centre held in a chuck? That is driving at about 20mm not 50 or 75 mm I propose, As the dia at which the grip has to be increases the torque needed to cause a slip and the ability to drive goes up proportionately. 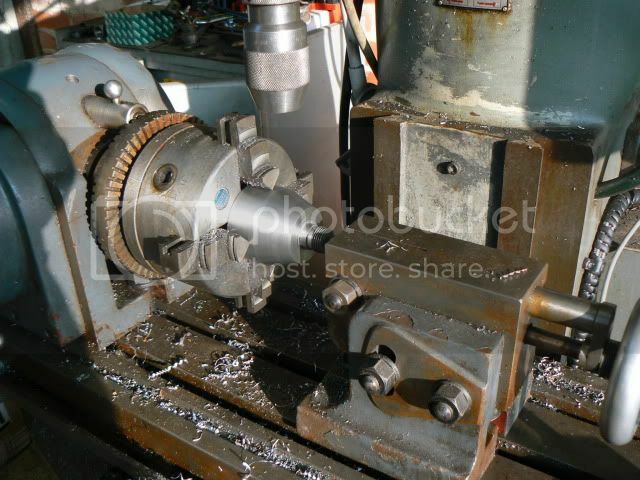 Ie holding like this would allow you to exert 2 1/2 to 3 1/2 times more force on the workpeice before there is any more tendency to spin the workholding in the chuck, than there is chance of loosing drive on a steb centre through it slipping in the jaws. It could always have a square spigot, That would not spin. A Jet 3520B. I understand what your saying. I know it shouldn't be possible to do that and I haven't done it. I just thought it could happen, maybe as you said, with a very bad catch or by being very, very aggressive. 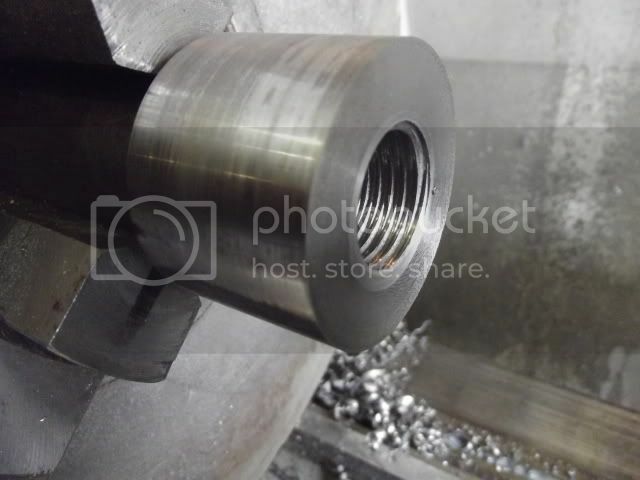 What about just using a blank-end arbor as-is for Glenn's centring stub to go into the drilled hole? 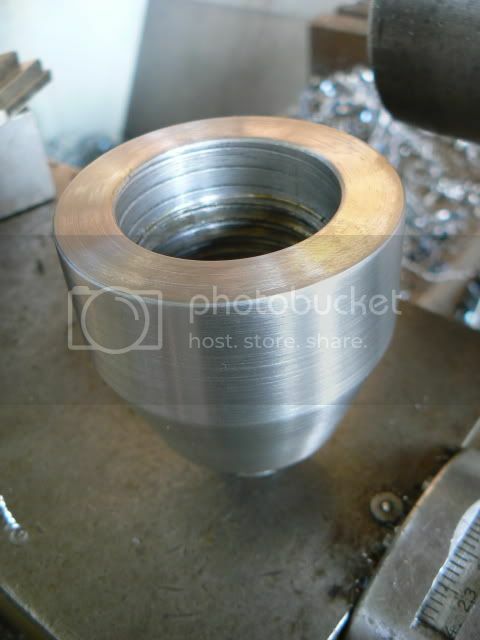 This is my problem, Produce by the thousand on CNC machinery and they work out cheap as chips. 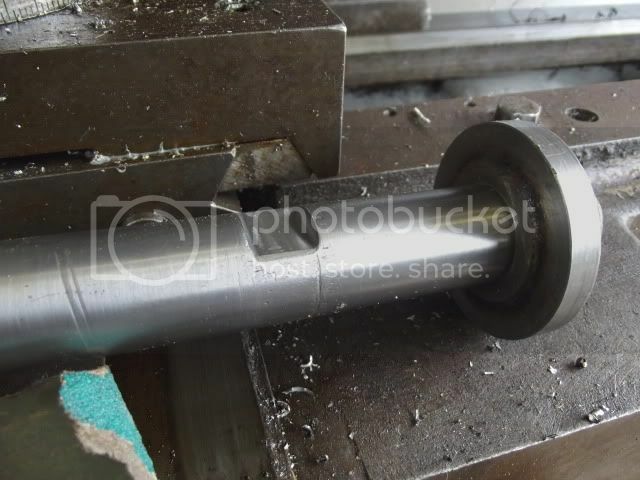 Make A one off on a conventional lathe, and the time goes up to a point I cannot get close to the price.. I would be happy to size these to any parallel diameter wanted, but it ain't cost effective for me to make a Morse taper..